i'm a quirky millennial living in the bay area who loves dark beer, exposed brick, and creative endeavors, in particular sewing for my four nieces: nora, etta, maya, and neela. i started love aunt maggie as a way to share my projects in a means other than texting pictures to my mom and sisters. 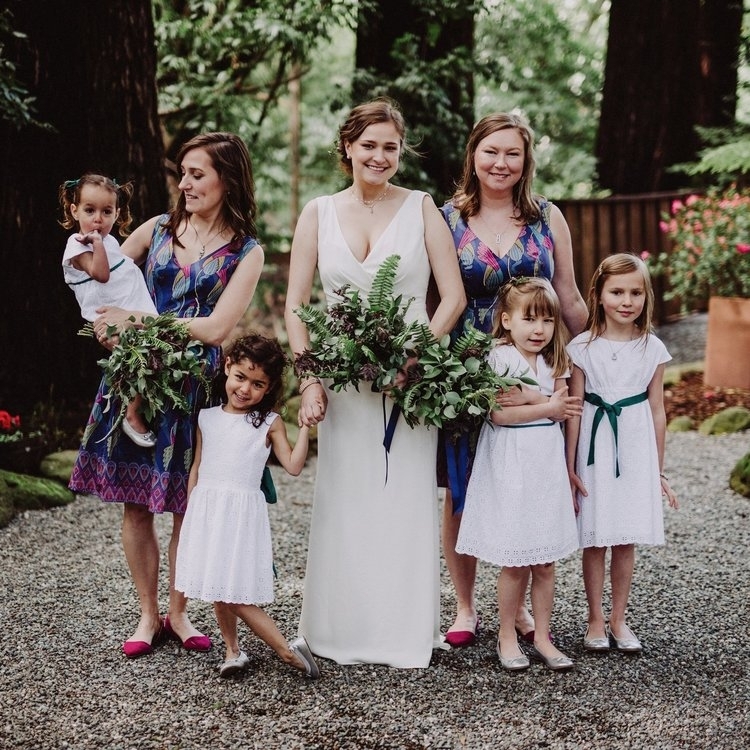 over time it's evolved to include gardening, crafting, and the planning of my recent nuptials. when i'm not sewing i have a full time gig at a bay area company. want to know more? check out my FAQ below or shoot me an email at maggie(at)loveauntmaggie(dot)com. when i was in elementary school my mom and i made a quilt for my american girl dolls. in high school i received my first sewing machine as a gift from my parents. my girlfriends and i would make fleece pj pants in our school colors and skirts that were (in hindsight) far too short. shortly after moving to cambridge massachusetts in 2012 i wandered into an amazing local fabric store with a great selection of fabrics and awesome independent sewing patterns. on a whim i bought some fabric, a pattern, and made my first dresses for the girls. from that day on i was hooked. in the coming weeks and months i discovered the world of sewing blogs, forums, and flickr groups. it's been through these online resources and sewing independent patterns that i've developed my skills and learned techniques over the past five years. four. i'm the youngest of three girls and each of my sisters has two daughters. my oldest sister abby has nora who is ten and margaret (named after yours truly but we call her etta) who is eight. they live in the awesome city of portland, oregon. my middle sister sammie has maya who is almost seven and neela who is four. they live in my hometown of ann arbor, michigan. are boys even allowed to be born in your family? i don't think so. however my middle sister sammie is an ob-gyn and says that isn't possible medically speaking, but what does she know? where does the name 'love aunt maggie' come from? credit for the name goes to david and patricia kempner for naming me margaret (after my late grandmother), but i've gone by maggie my entire life. the logo is something i developed on microsoft word a few years ago. i had it made into a stamp and use it (along with alphabet stamps and fabric ink) for all my labels. more on my stamp and labels here. i learned to sew on my mom's singer slant-o-matic from the 60s. in high school my parents gave me a singer 5838 (purchased from ann arbor sewing center in ann arbor, michigan) that i used for twelve wonderful years. in 2013 i traded my beloved singer in for a janome 4120qdc, at singer sew & vac in cambridge, massachusets. while i love, love, love this machine you definitely do not have to spend a lot of money to get a quality machine. more on my favorite tools here. 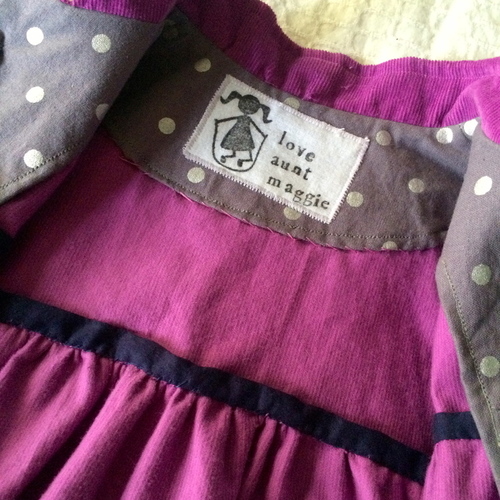 do you sew anything other than clothes for your nieces? i sew gifts for other people's children, myself (mostly dresses and skirts), my husband (shirts and lots of tailoring of store bought stuff), my family (a cosmetic bag for my sister, a bed for my parents dog, an apron, etc. ), and things for the home (pillows, curtains, etc.). however at the end of the day i get the most joy out of sewing for kids, especially little girls, and particularly little girls who are related to me. i want to start sewing, do you any advice? sew for kids, pets, or other low stakes end users. when you first start you're going to make mistakes (i sure did). however no one is going to notice (or care) if the stitching on the pillow you made the family dog is wonky or the purple and orange polka dots on the toddler's outfit are crooked. get good patterns that have actual instructions. it's pretty obvious i love oliver + s patterns, but there are a ton of great independent pattern companies out there all of which write better instructions than the big four. more on my personal favorites here. shop at (preferably small) brick & motor fabric stores. in my experience the staff and customers of these stores are always down to give advice and provide guidance. my favorites are listed out here. when in doubt google it. chances are someone in blog world has had the exact same issue and has written a post about how to solve it. woven cotton fabrics are your best friends. i stand my ground that unless a child is participating in a royal wedding then there is no reason why their attire needs to be anything other than cotton. 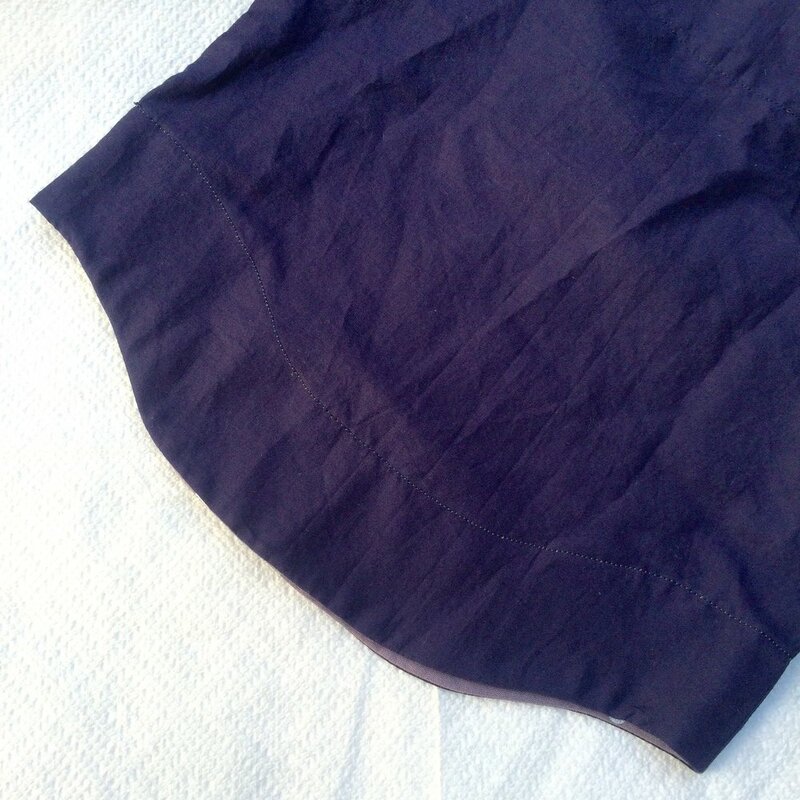 it's easy to sew with, predictable, and most importantly can be washed with ease. woven fabrics are also much easier for beginners to sew with than knits, so they are a good place to start.